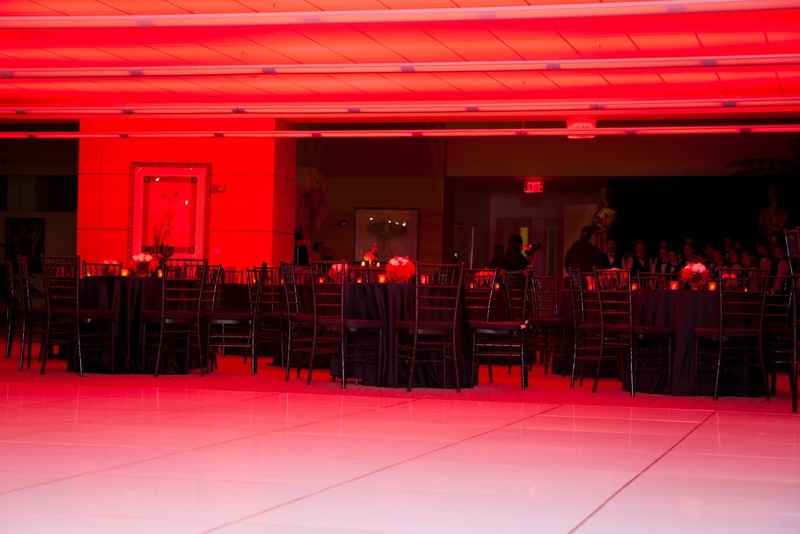 This past month we had the privilege of planning and designing New England Biolabs annual holiday party! This years theme was old hollywood glamour, using the rat pack as our inspiration. There was Frank Sinatra's Red Carpet Walk, Lawfords Lounge, Sammy Davis Jr Nightclub as well as a Martin Bishop Casino. 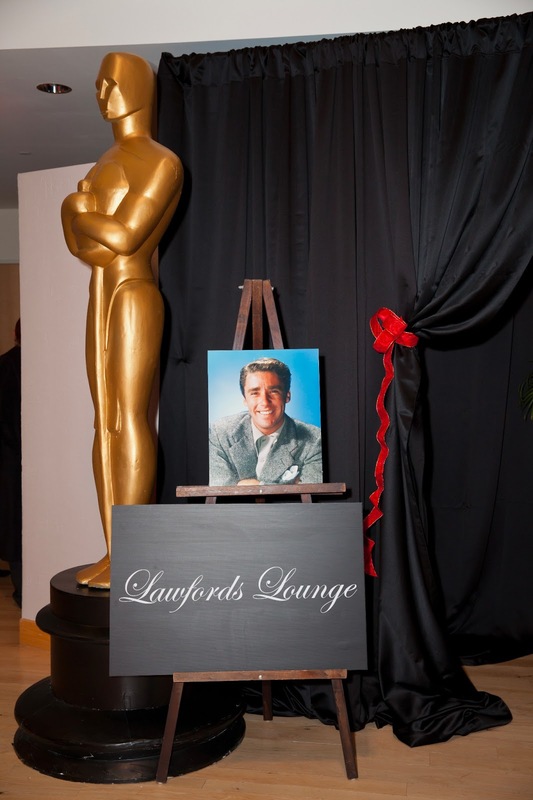 From when guest entered to when they left every detail was important to creating the old hollywood glamour feel. 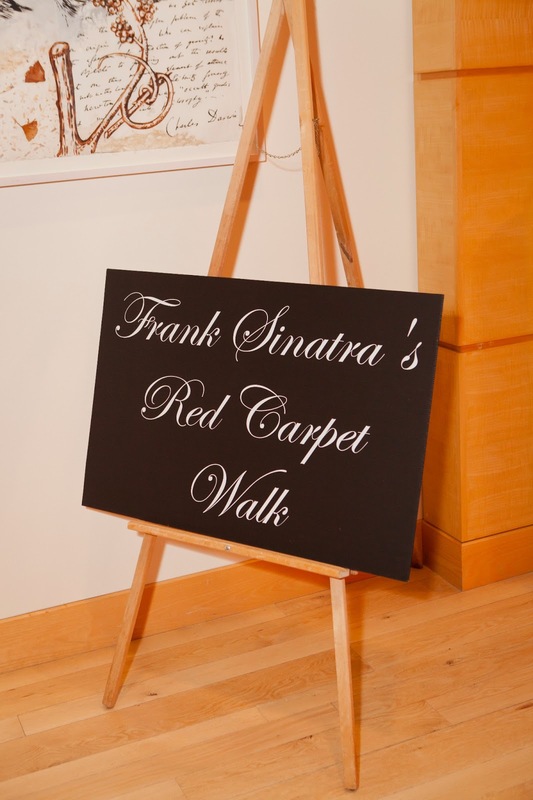 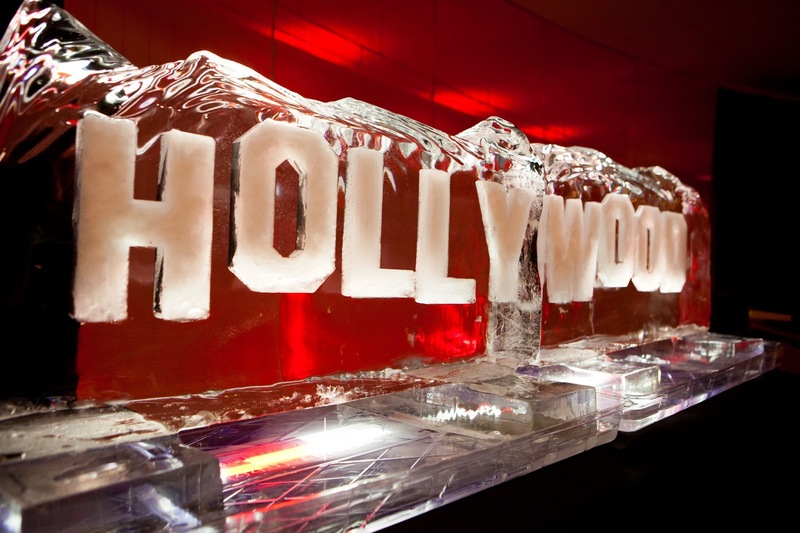 The Frank Sinatra's Red Carpet Walk was where all the guests entered the space. 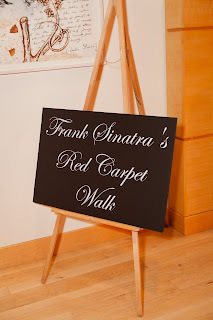 We wanted every guest to feel like a celebrity so at the end of the red carpet walk they posed for pictures infront of a sign that said "Start spreading the news...". From the red carpet guests entered Lawfords Lounge. 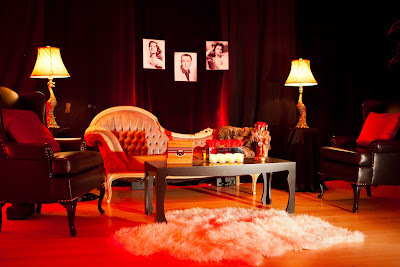 For the lounge area we wanted the elegance of Marilyn Monroe meets a smokey masculinesque rat pack feel. To created this ambiance we used dark leather chairs with pops of red banquets. We accented the seating with beautiful pillows and fur throws! 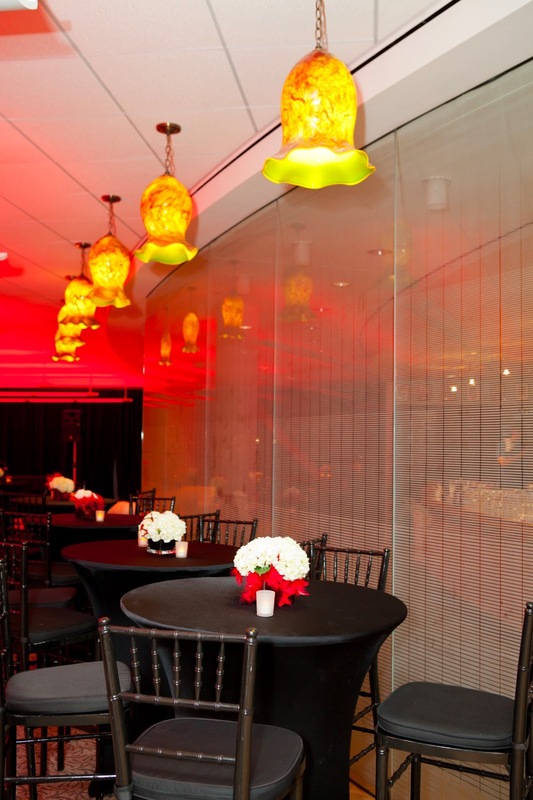 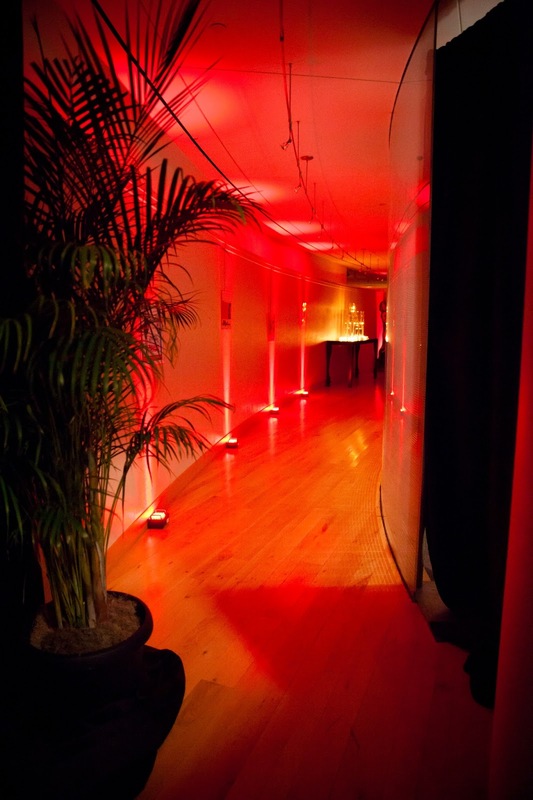 We also used red uplighting to really create a warm yet masculine feel. 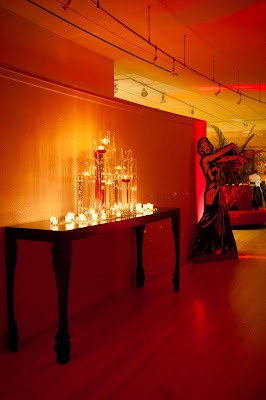 There was a lot of candle light that glisind throughout the room adding the feminine Monroe touch. 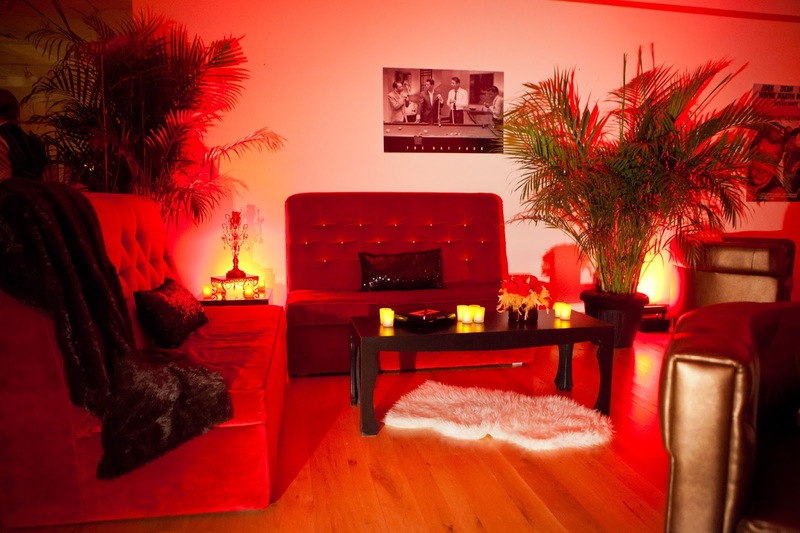 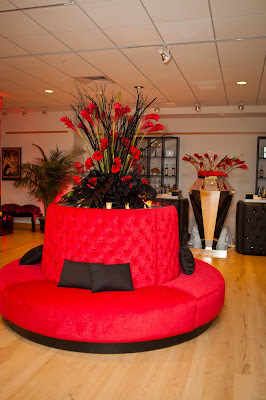 On the end and coffee tables we added red rose centerpieces as well as cigar boxes and more votive candles. Every little detail matters when creating a space like this! 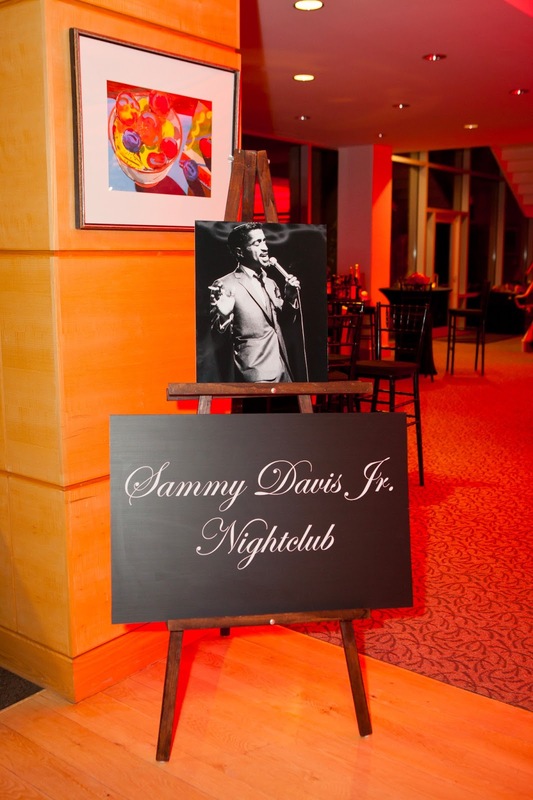 After the lounge, guests ventured into the Sammy Davis Jr Nightclub. 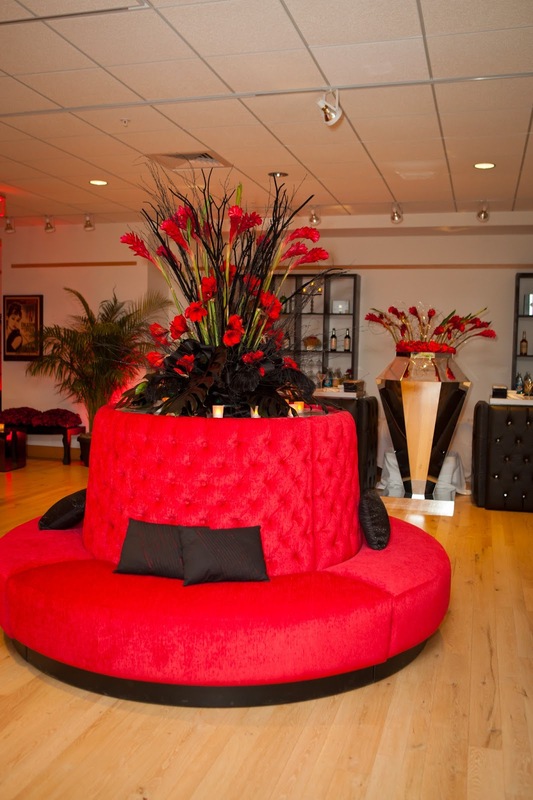 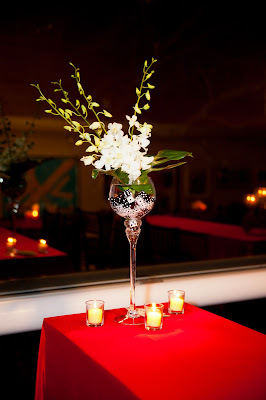 Keeping up with the Old Hollywood Glamour feel we used a mixture of high and low round tables topped with black linen. 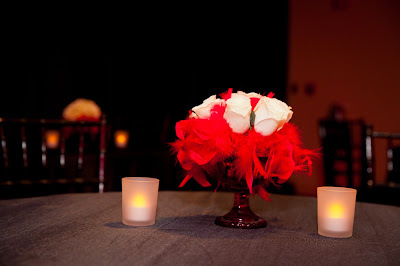 On the tables we used a pop of white rose centerpieces with red feathers! 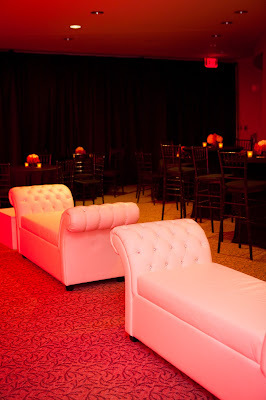 There was also some white lounge furniture as well as a white dance floor that was danced on all night long thanks to the musical stylings of DJ Mr Ed! 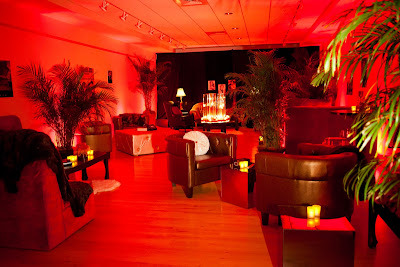 There was also a photobooth in the night club area from Boston Photobooth Rentals. 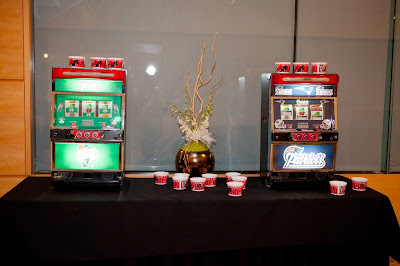 Photobooth's are a great way to let your guests have fun photos they can take home and keep forever! 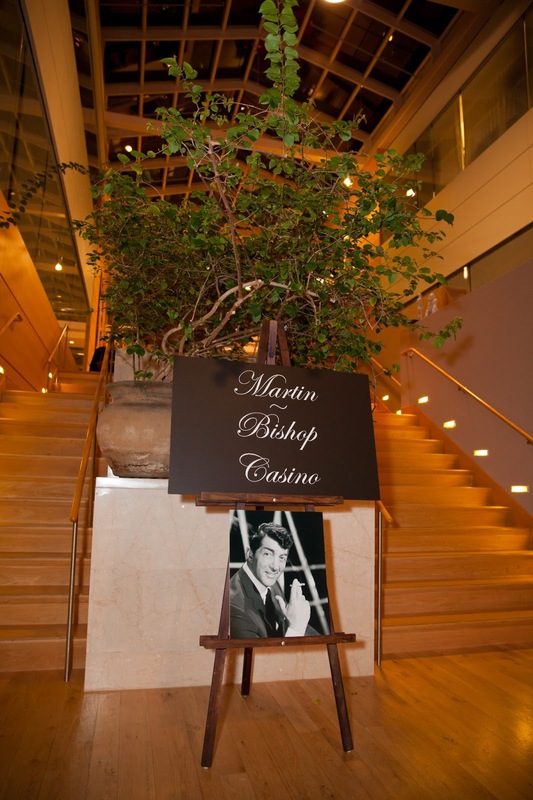 In the mezzanine of New England Biolabs we created the Martin Bishop Casino. 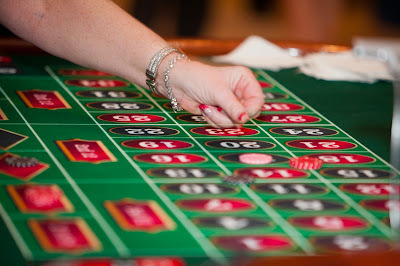 We rented a black jack table,a craps table, roulette as well as two slot machines (through Casino Productions) for guests to enjoy, and that they did! We created fake money that was personalized for New England Biolabs for guests to use to play the games. 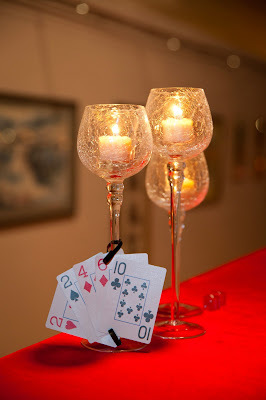 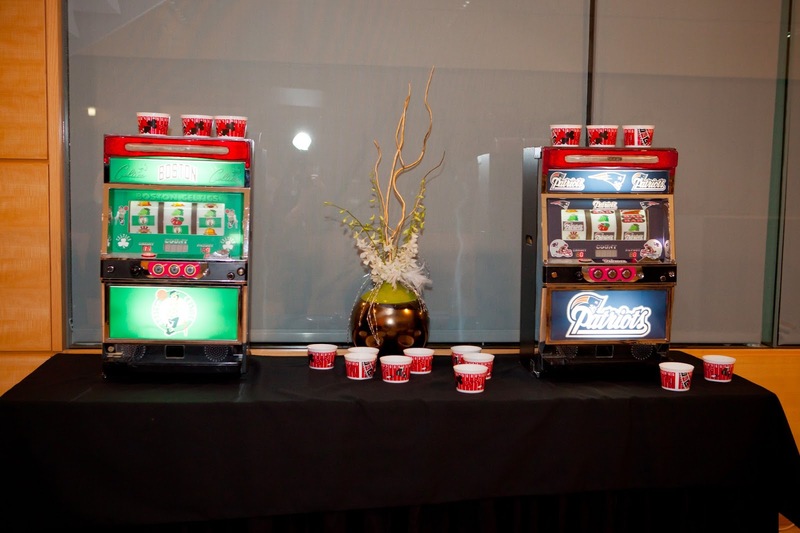 The casino was a big hit and gave guests the ability to interact in a different way! We loved how creative we were able to get while planning this event! 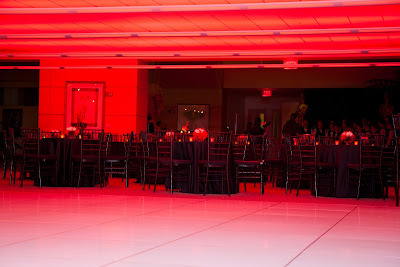 Our team is very proud of the work we put into this fabulous event. 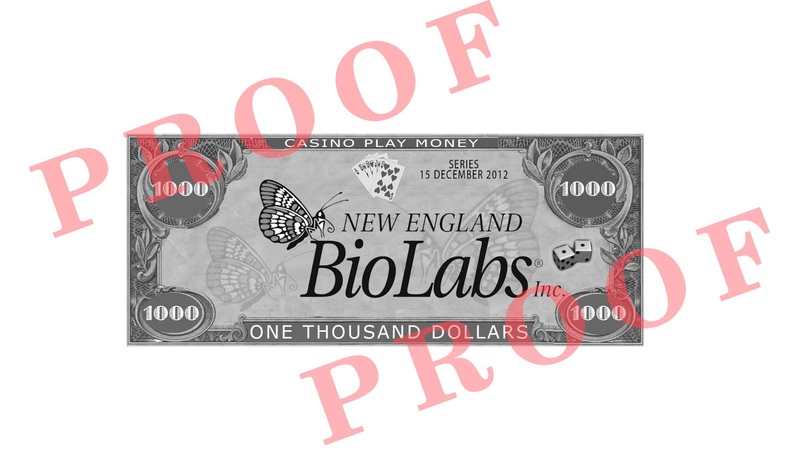 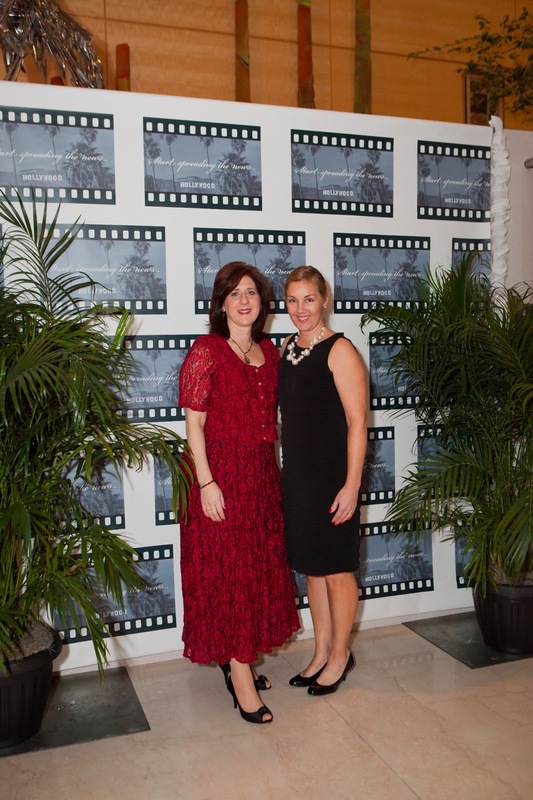 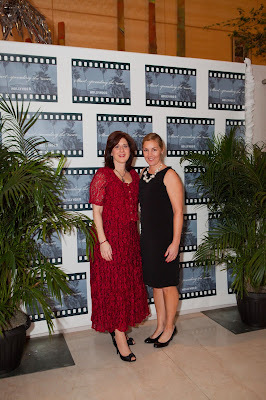 We want to thank all of the vendors involved in creating such a special night for the New England Biolabs employees!